As we go through life, we often strive to achieve the next goal. This discipline started in pre-K. We work our way to Kindergarten then grammar school onto high school. That journey continues to college for some while others take a detour and enter the real world. Many move on to college to pursue what they are passionate about. All through this journey, success is within reach. There were some setbacks, mistakes, but for the most part we managed to move to the next stop then the next one after that. From a certain vantage point it looks like it was smooth sailing. As we enter the real world, we no longer take any tests or quizzes. We no longer pull an all-nighter to take a test. We work on projects and focus on delivering results or contributing to the bottom line of the company that we work for. Measurement is very different at times, varies with the manager you report to. It is not the number of hours that you work that matter; it is the results that you produce that count. While in school we succeeded each year and moved on to the next level. Success comes easy in my opinion. Most students make it to the next level. At some point we expect to move to the next level. Of course we need to work to make it, but for the most part most students make it to the next level. Success comes naturally but in the real world that is not the case. The first time you faced failure was the hardest. Why? Because it was out of the norm. You were so used to succeeding, but now either you failed to deliver or got a poor rating for the first time in your life. Don’t be in despair. 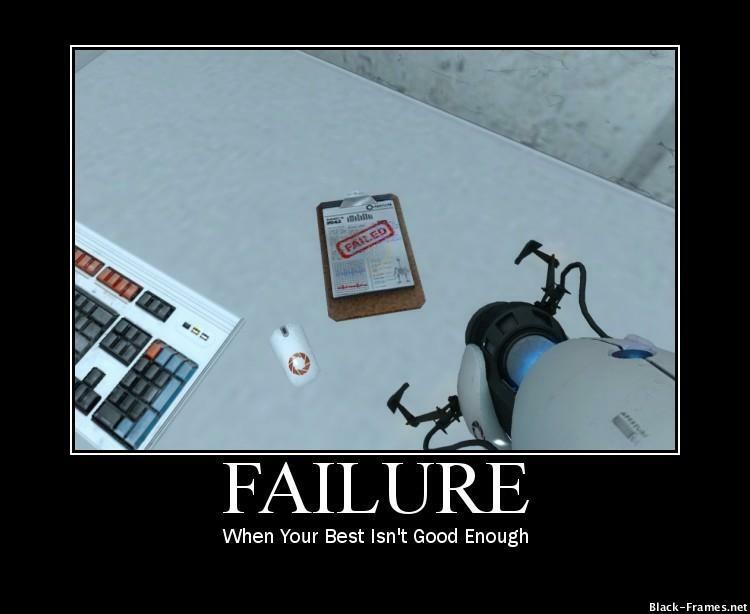 Failure is good for you. What? What do you mean? How can failure be good for me? Yes, it is. With failure, you have the opportunity to assess what went wrong and what you can do to improve your situation. Each failure is an opportunity to learn the lesson and improve upon yourself. In my opinion, it is best to fail early and often early in your career. This way you learn the lessons and improve yourself. After each failure, make sure to spend the time learning the lesson before you move on. There is a tendency to rush because you want to leave the bad memory, but if you don’t learn your lesson, you’re bound to make the same mistake. As Bill Gates says, “It’s fine to celebrate success but it is more important to heed the lessons of failure.” By heeding the lessons of failure, you’ll be aware and avoid making the same mistakes. To end this post, I’ll close it with a quote from Tony Robbins, “I’ve come to believe that all my past failure and frustration was actually laying the foundation for the understandings that have created the new level of living I now enjoy.” With failure comes learning; if you embrace the opportunity to learn, you will avoid the same mistake and achieve the growth that will enable you to be prepared for the next challenge ahead. As Michael Jordan’s puts it, “I’ve missed more than 9000 shots in my career. I’ve lost almost 300 games. 26 times, I’ve been trusted to take the game winning shot and missed. I’ve failed over and over and over again in my life. And that is why I succeed.” This quote reminds us that through adversity success is within reach. Let me know what you think. Previous Who is your client?